So I'm sure there is some new age quote about how "things" don't equal happiness, but in my case, they do. We've been living without our "stuff" for a long time now. Essentially since November. We have it now! Life is complete! It was delivered just 2 days ago and it's like Christmas. But better. It's like a birthday and anniversary and Valentines Day. Presents everywhere! They wrapped everything! I mean, everything. Like the plastic cup we use in the bath for the kids. And individual shoes. And also, little army men. I'm so glad we brought our old disgusting pans across the country. We came from a really small house so there were a lot of things in storage we didn't get to use in the trailer. So reopening it up was so fun! Wedding pictures, frames I didn't know I had! It's also pretty great because there are pieces of people I love all over now. Keep in mind, I'm still very much in the process of moving in. But that China hutch Megan passed along to me? I have that! Guess what's inside of it? China that Belle gave me. There's plates from Trish I never gave back. And a typewriter from Grandma and Grandpa Menlove. David unpacked my dad. Hahaha. It's not funny. But he said it was pretty awkward. He was just unpacking boxes and the item he pulled out seemed heavy. There's a reason why! I meant to give him to Steph and Chelsi. But in the midst of everything, I forgot. I'm kind of glad he's getting to be here in Germany with me. He would have loved it here. Wait! He is loving it here! I can't wait for everyone to come visit. I'm hoping by the time people want to come here, I'll at least have cleared a space for you/them to sleep. Right now there is a lot of boxes and children and crumbs and food and plastic totes hanging around. The best thing we brought with us so far is our record player. We have loved having it because for me, having it is like having our parents here. Davids parents love Bread and Neil Diamond and I have the Eagles and Billy Joel to remind me of mine. It's really great. Then we have some Jack Johnson and Michael Jackson to keep it real. Haha. 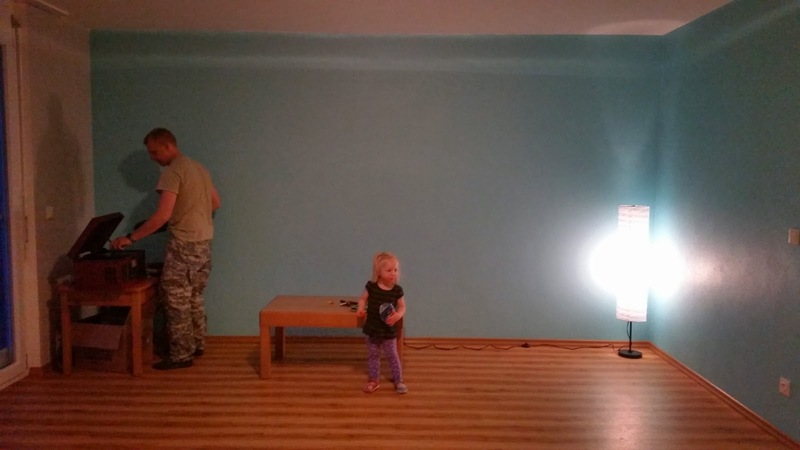 Before we got our furniture! I'm so happy for you! I love and miss you so much. Make a space for visitors quick! We are totally coming! 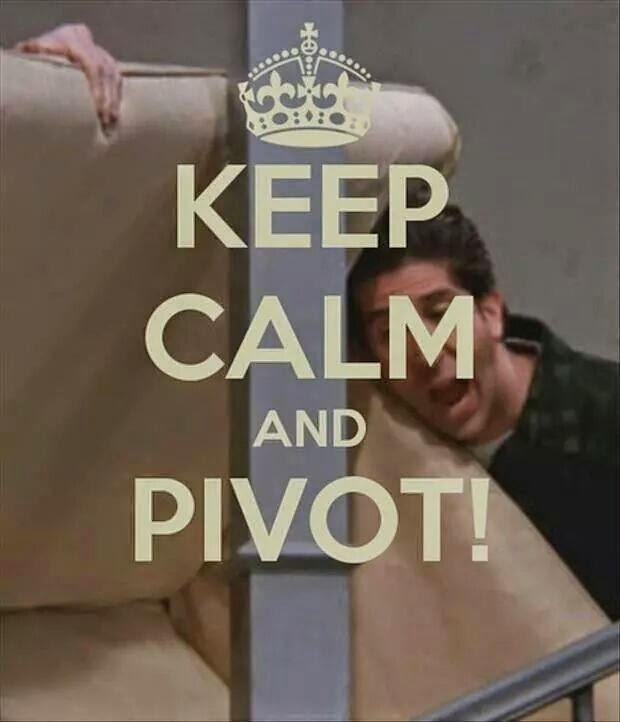 Keep Calm and PIVOT!!!!!!!!! Dying laughing.